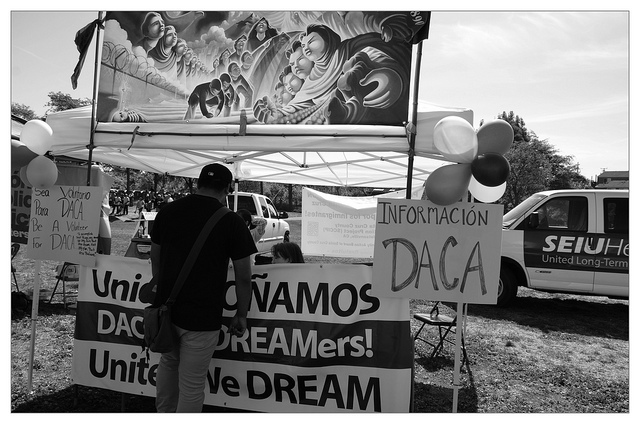 Hope for Dreamers: A Path to Conditional Permanent Residence? On July 26, 2017 Congresswomen Ileana Ros-Lehtinen (R-FL) and Lucille Roybal-Allard (D-CA) introduced H.R. 3440 the House version of the Dream Act of 2017, a bill that would give young people who were brought to the United States as children, a pathway to obtain conditional legal permanent residence, provided these individuals meet certain requirements. Under this act, certain qualifying individuals would receive cancellation of removal, and the opportunity to adjust their status to conditional permanent residence, provided the individual has been a long-term resident of the United States, entered the United States as a child, and has not been convicted of serious criminal offenses. While this Act is still in its early stages, it has received widespread bipartisan support, signaling a serious commitment to shield DREAMers from deportation on both sides of the aisle. Three or more offenses under Federal or State law, other than State offenses for which an essential element is the alien’s immigration status, for which the alien was convicted on different dates for each of the three offenses and imprisoned for an aggregate of 90 days or more. Accordingly, the Secretary of Homeland Security would be authorized to waive the alien’s grounds of inadmissibility. As it relates to treatment of expunged convictions, expunged convictions would not automatically be treated as an offense, rather the Secretary of Homeland Security would evaluate expunged convictions on a case-by-cases basis according to the nature and severity of the offense to determine whether the alien should receive cancellation of removal, or be eligible for adjustment of status. As it relates to DACA recipients, the Secretary of Homeland Security would “cancel the removal of, and adjust to the status of an alien lawfully admitted for permanent residence on a conditional basis, an alien who has granted DACA unless the alien has engaged in conduct since the alien was granted DACA that would make the alien ineligible for DACA. If the act is signed into law, more than 750,000 DACA recipients could be eligible to adjust their status to conditional permanent residence. For his own part, on July 28, 2017, Congressmen Luis Gutierrez (IL-4) along with members of the Congressional Hispanic Caucus, Minority Leader Nancy Pelosi (CA-12), and Minority Whip Steny Hoyer (MD-5) introduced a similar act known as H.R. 3591 American Hope Act. The American Hope Act would also allow undocumented immigrants who came to the United States as children the opportunity to apply for conditional permanent residents. Under the American Hope Act, individuals who came to the United States before their 18th birthday and before December 31, 2016 would be eligible to apply for conditional permanent residence provided the individual has been continuously presented in the United States since December 31, 2016.